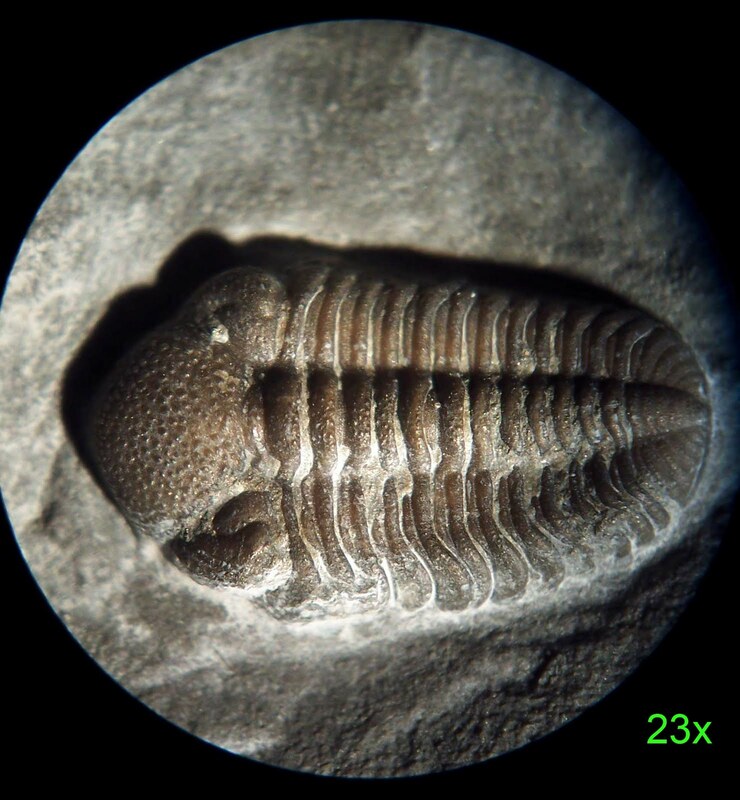 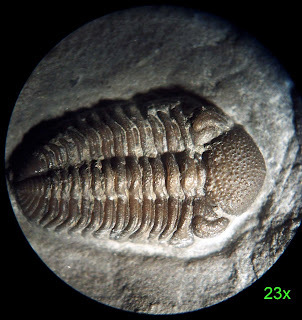 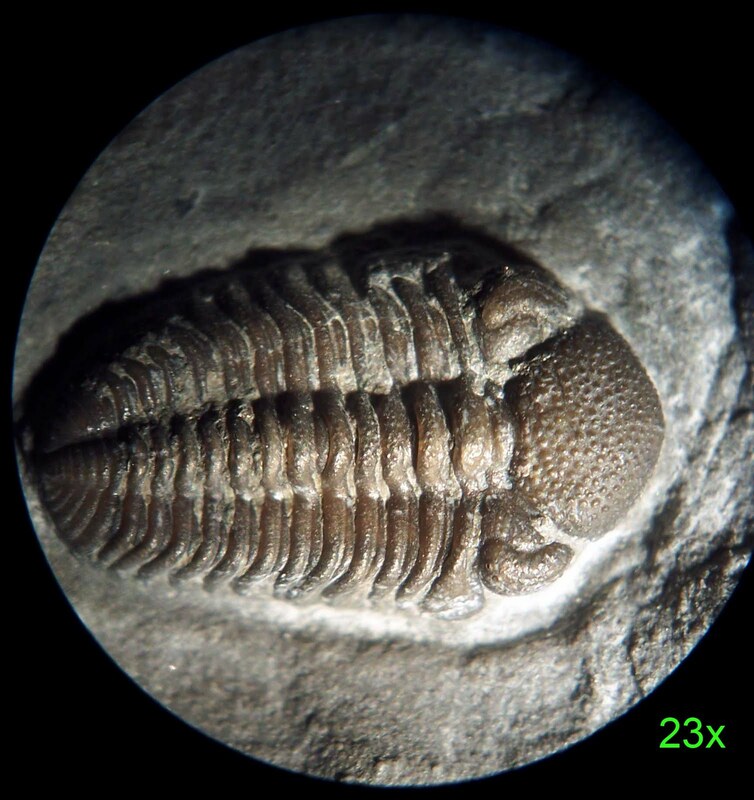 The trilobite fossils shown are small enough that a microscope is needed to study their details. Pictures were taken with 23x magnification which is a field of view of about 8 mm. The trilobites appear to be Devonian and may be Phacops. 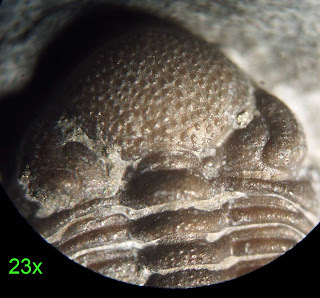 This next picture shows the matrix plate which is about 6 cm in width. 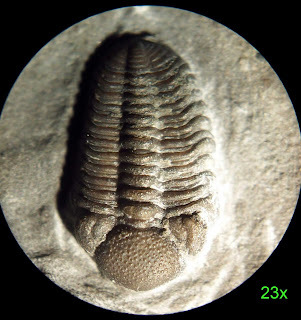 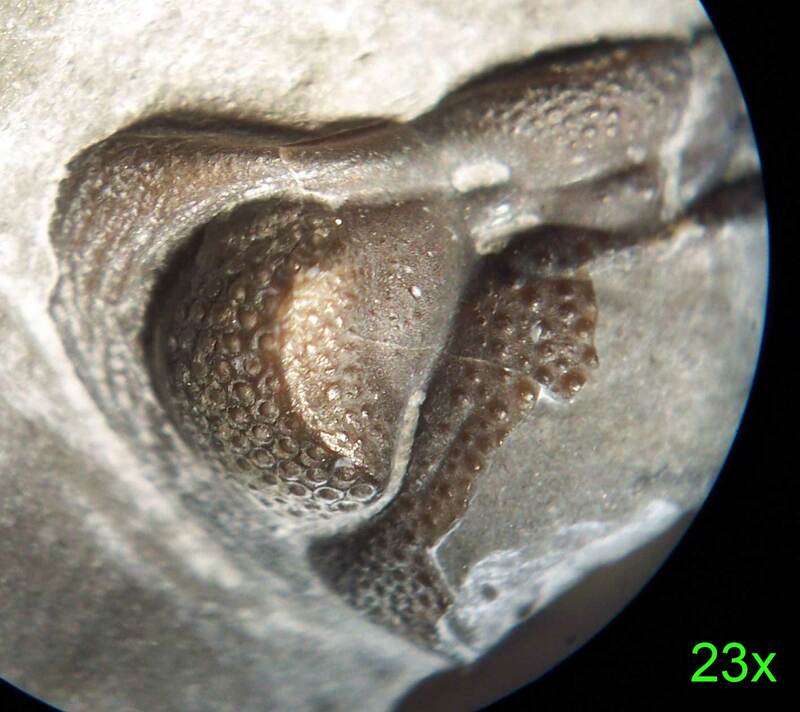 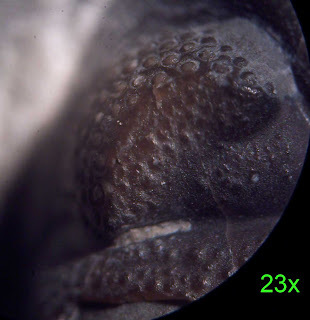 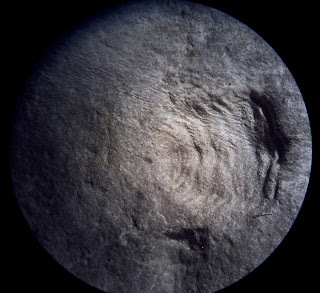 The intact trilobite photographed through the microscope is toward the center of the picture. 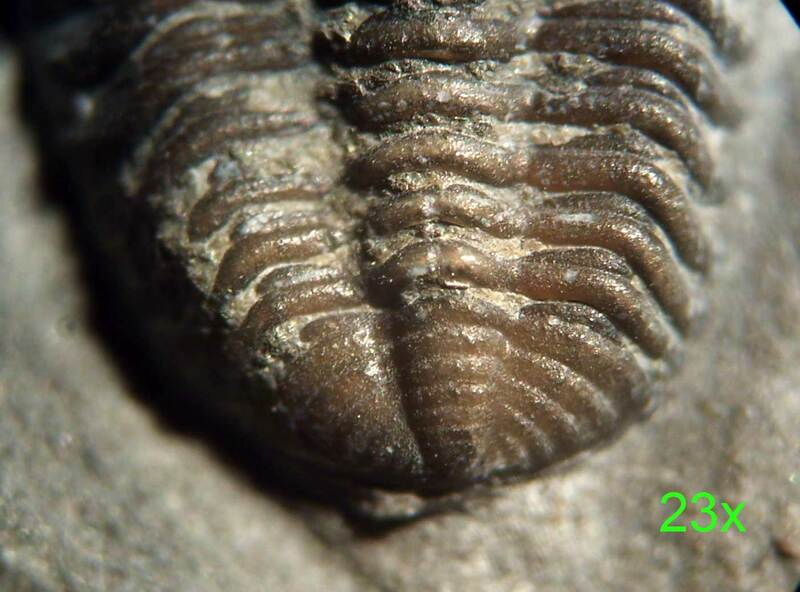 Next two pictures are of what appears to be a Phacops cephalon. 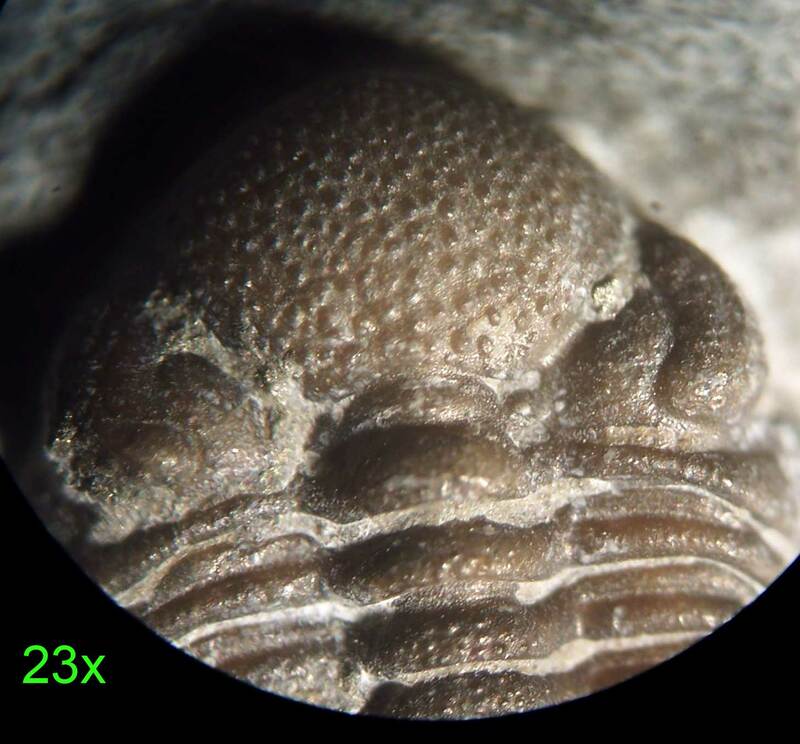 The compound eye can be seen in some detail. 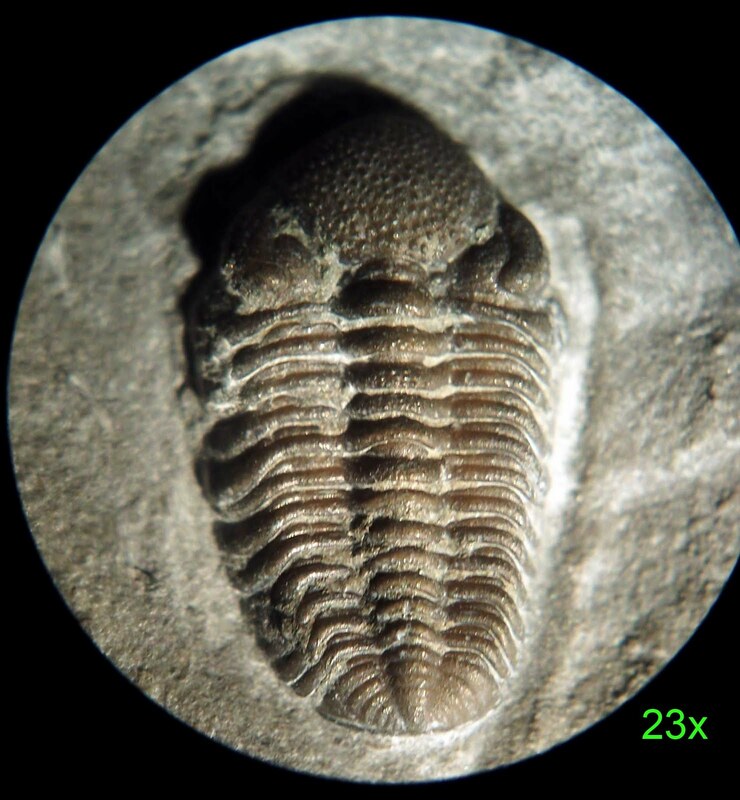 Also found on the plate is a trilobite imprint. Thanks to Kenny for his prep work on this very small trilobite. 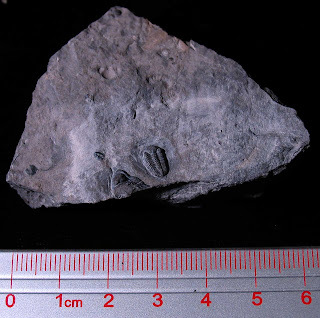 The fossils belong to Dave at Views of the Mahantango blog.